Online First Aid course are written by team of U.S. licensed board certified medical doctors. 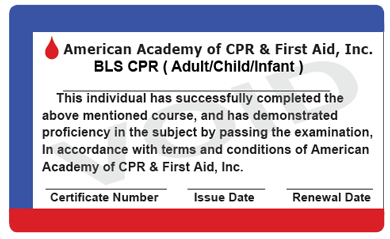 First Aid certification are signed by authorised U.S. physicians. Any time people sustain an injury or become ill, they may benefit from immediate treatment. Wikipedia says, "First aid is the provision of initial care." This care can be performed by people who are healthcare professionals or even those who do not have medical backgrounds. To ensure family safety or learn adequate medical skills as a healthcare worker, basic online first aid training makes sense. It ensures better preparation for life's surprises. One person can make the difference that saves a life. After the course has been completed and the test finished print out a two year valid certification to show proof of qualifications. How to treat victims for burns, rashes, lacerations, and other bodily injuries. How to immobilize a broken leg until help arrives. How to prevent or minimize bleeding. How to treat animal bites or stings. Appropriate treatment for allergic reactions. How to warm a person who has hypothermia. How to minimize the effects of poisoning or toxic exposure until medical help arrives. Take courses such as BLS, CPR, and BLS for healthcare providers. Online courses also include bloodborne pathogens training and Adult, Infant, and Child CPR. 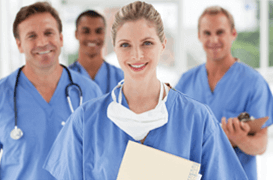 Physicians with years of experience have designed these courses and certifications. The need has never been greater for people who can perform life-saving early care. We use specific, detailed illustrations and diagrams to make the learning process as accurate and realistic as possible. These free courses are unmatched by any other provider. Upon completion, you will be able to give others appropriate emergency care. 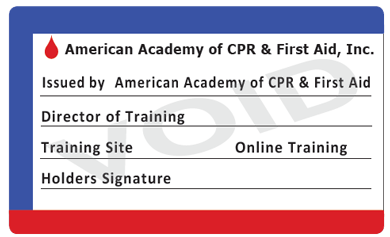 One click of the mouse is all it takes to apply for CPR first aid training and get CPR and first aid certifications. A clear and concise set of multiple-choice questions can be answered using information learned during online first aid training. Print your certificate for just $14.99	. The certificate is valid for a full two years. Taking online CPR first aid courses is one of the best ways to acquire the knowledge needed to perform basic life-saving services. 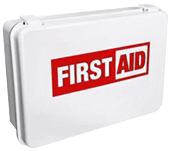 Basic first aid certification is optional for most adults, but knowing the life-saving skills taught by this site's online first aid course should not be. It takes a short time to complete this training, for free and on your own schedule. The knowledge gained prepares one for a wide range of emergency medical situations. Appreciate the convenience of learning on any schedule and being able to download everything from one website. The certification will cost just $14.99, the second one for $12, and additional ones are just $6 each. Sign up to get started with certification. Sign up now for online first aid certification. Improve your life and protect others by learning how to perform CPR first aid. Board certified physicians create all of the First Aid certification training. A licensed medical director who practices medicine in the U.S. signs each certificate. Many government workers, restaurant employees, healthcare providers, & community workers chosen to us to learn life-saving skills & get their certification. Tattoo artists, teachers, day-care workers, fitness trainers, construction workers, massage therapists, & more have also benefited from completion of these courses.